With Sage Drive, Page Kirk will be able to access your live Sage Accounts data remotely using the Internet. Sage Drive will also allow you to connect to your data through your smartphone or tablet using Sage’s business apps. Sage Drive is not a data backup service and should not be used as a replacement for your local computer network. Whilst Sage Drive does allow remote access to your data in real time we would not recommend Sage Drive as a ‘full time’ remote solution for home users, for example. An upload speed of at least 2Mbps. Sage Drive is available with Sage Accounts v21 or above, if you are unsure which version you are using, or are using a version older than v21 please contact us. Please advise us of the exact version number you are using. We recommend you upload the data from the computer you use Sage Accounts on the most. 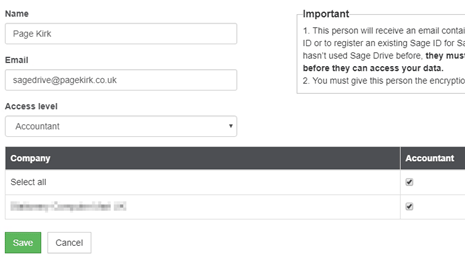 If you've Sage Accounts installed on more than one computer, connected by a local network, you only need to upload your data once. 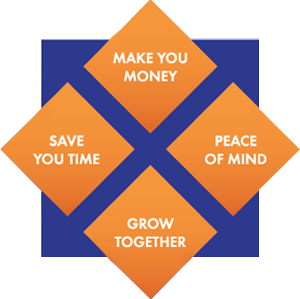 Log into Sage Accounts as manager. Click ‘Save’ and we will receive an invite to access your data. 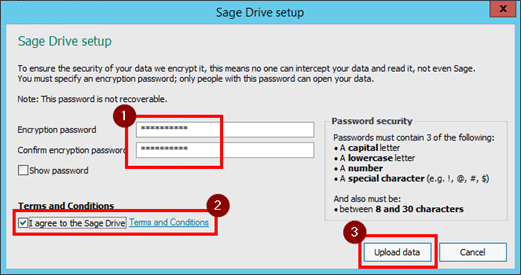 Once these steps have been completed please contact us to confirm your exact Sage version number, Sage Drive encryption password and the PageKirk user password.